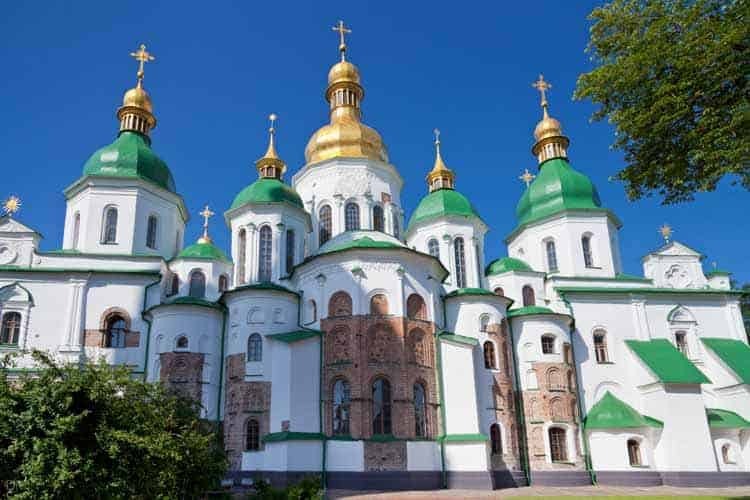 With its 13 golden domes, St Sophia’s Cathedral is one of Kiev’s most impressive landmarks. Construction began in 1037, although much of the Baroque exterior dates from the 18th century. Named after the Hagia Sophia in Constantinople, the cathedral is famous for its ancient mosaics and frescoes. 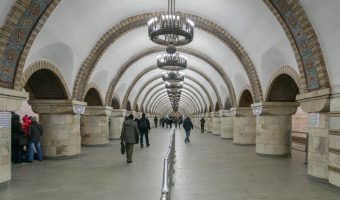 It also houses the tombs of several Kievan princes, including its founder Yaroslav the Wise. The cathedral and the associated buildings were declared a UNESCO World Heritage site in 1990. Map showing location of St Sophia’s Cathedral. This cathedral is stunning and will take your breath away. There are also beautiful gardens plus art exhibitions and the like. 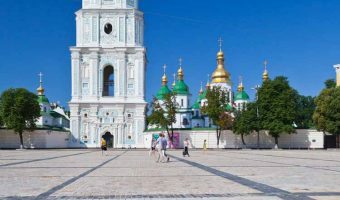 Make sure you buy the full ticket so you can go up the bell tower for one of the best views of Kiev. The squares outside this church and St Michael’s are very beautiful. I like to relax here. It’s now much more peaceful here than at the Maidan now. The color is eye popping! It’s beautiful!!! 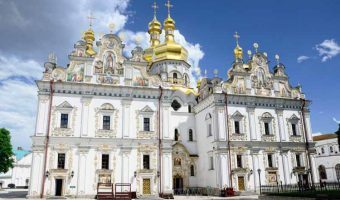 This is one of the most beautiful churches in Ukraine. This is a nice, pretty, gorgeous place and I would love to go there! Video showing the exterior and grounds of St Sophia’s Cathedral.